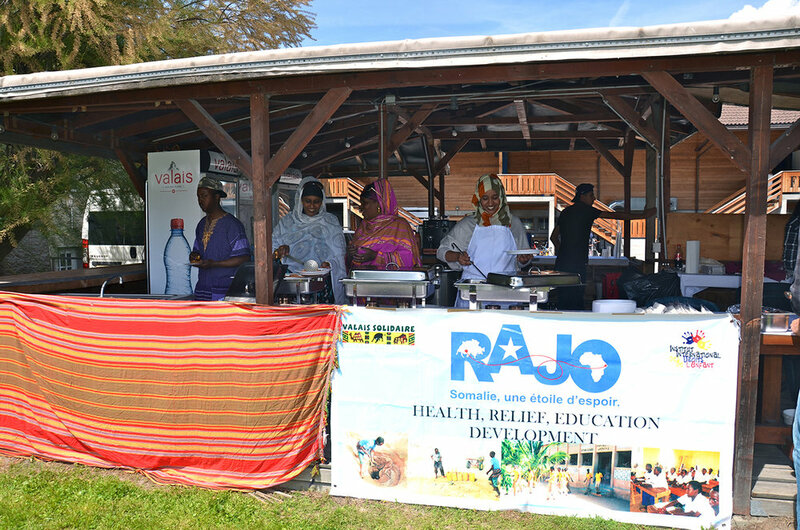 Since 2010, RAJO has been raising funds in Switzerland to carry out its projects in Somalia. The members of the organisation go to the affected areas in Somalia, organise and oversee the work. 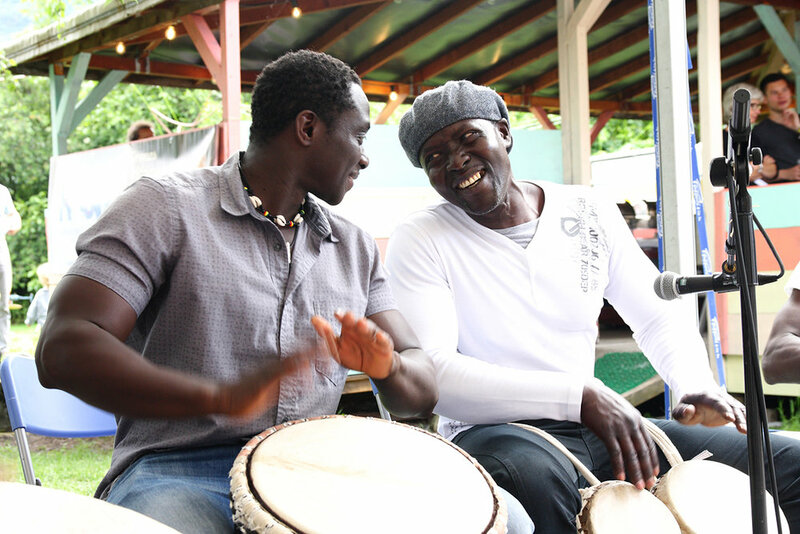 The organisation has numerous persons of contact on site with whom it maintains close relations. In 2010, in collaboration with the Hawa Abdi Switzerland Organisation, RAJO built a school with 16 classrooms in the Hawa Abdi district. 849 students from 6 to 12 years old (438 girls and 411 boys) currently go to school there. In 2017, Somalia was hit by a major food crisis caused by a severe drought. In this context, RAJO has implemented an emergency aid project. Food was distributed to 2000 families in the Adado district. Each received a total of 12.5 kg of rice, 3 litres of oil and 5 kg of sugar. In addition, 29 tanker trucks were leased to distribute water to 8 different villages. One in five Somalis can not read or write. RAJO has set up various literacy campaigns from 2012 to 2016. The aim of the project was to provide a population of mainly nomadic adults from central Somalia with a training program that would enable them to acquire basic reading, writing and numeracy skills. In total 1,400 young adults, 70% of which are women, have benefited from this program. Young Somali people who have attended schools (setup by RAJO's partner Iftiin) have been recruited to run the RAJO Literacy Campaign. The literacy campaign teachers are graduated Iftiin students. They usually teach for 1-2 days under a tree. The health situation in Somalia remains critical. In some areas, women travel several hundred kilometres to give birth. In general, access to care is very limited. In 2012, the "Medicines for All" organisation, based in Dorénaz, Switzerland, offered beds, operating room trolleys, orthopedic canes, sterilisation equipment ... RAJO financed the transport of this equipment. In order to reinforce social cohesion in a Somalian society battered by 20 years of clan conflicts, it seems essential to encourage meetings and stimulate citizenship, sports and cultural events. The Galgaduudne area had no meeting space. 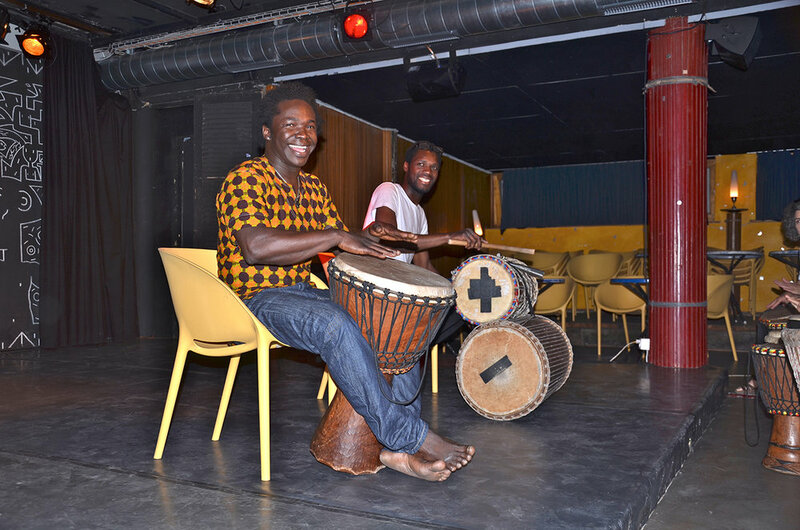 RAJO stepped in and built a community hall in the District of Adado in 2013 and 2014. The community hall is used for weddings, political events, cultural and sporting events, shows, graduation ceremonies, etc. 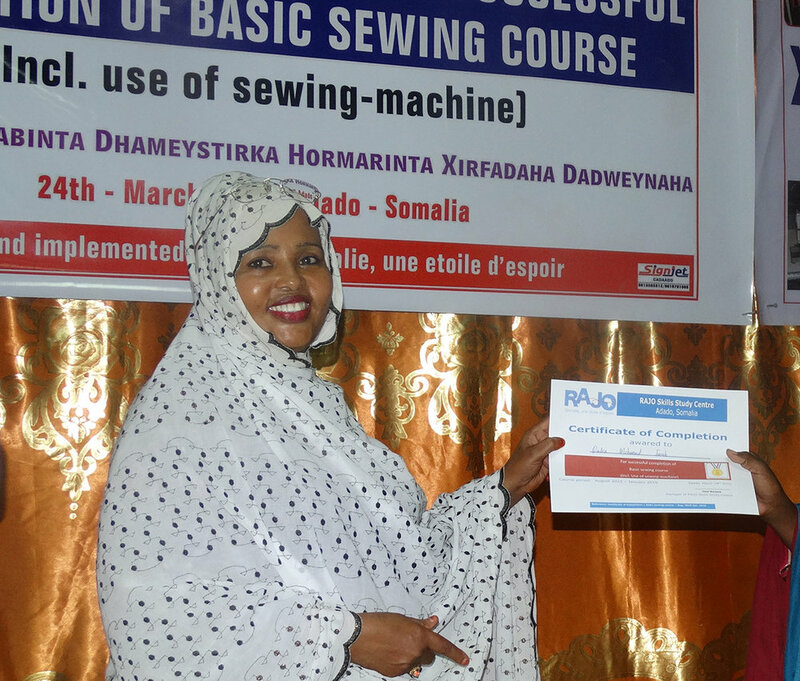 By setting up a sewing training course that serves primarily for making school uniforms in the Adado region, RAJO intends to allow people to develop skills that can lead to a future paid activity. Furthermore, this gives children who were previously unable to afford the compulsory school uniform, to go to school. Uniforms are sold by RAJO at low prices to allow all children to attend school. Arrangements are also made for families who can not purchase uniforms for their children. A uniform costs on average $10. The average wage of a worker is $45 / month. As of the start of the 2017 school year, the RAJO sewing cooperative will produce 4200 uniforms for 8 Iftiin schools in the Adado region. Somalia ratified the United Nations Convention on the Rights of the Child on the 20th of January 2015. This commitment has been applauded by the international community and child rights advocates are eagerly awaiting the concrete implementation of the these rights. Indeed, the situation from an economic, political and social point of view is complicated and the knowledge of the field is incomplete. In order to learn about the situation of children in Somalia and to know the actors involved or interested in working there, RAJO and the International Institute for the Rights of the Child (IDE) organised a day of reflection in 2016. 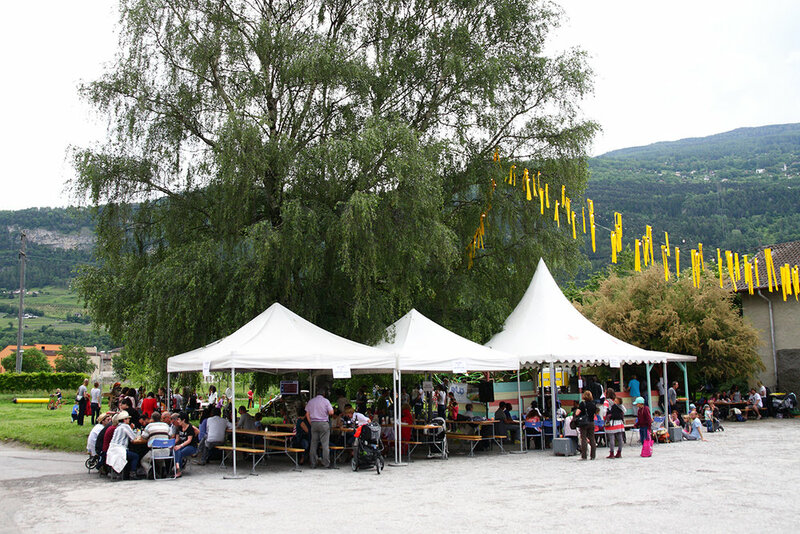 Each year RAJO enables families to experience a day of fun, support, sharing and intercultural exchange in Valais. Somali youth are enrolled in school only in the morning. Their free afternoons lead them to wander, making them targets for the militias. 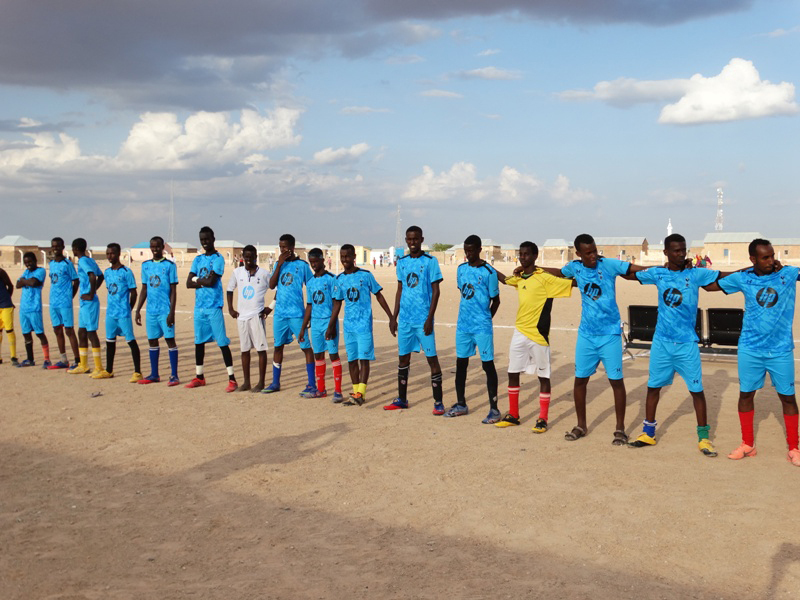 In March 2017 RAJO and FC Orsières sent football equipment and set up a football training centre in the Galgadud region of Somalia. RAJO hopes to organise inter-village tournaments soon, in order to promote sport in this region.